Minnie, the cute & cuddly mouse known from Walt Disney's stories, is made of super-soft material. This lovely mouse is sure to quickly become a trusted friend of every little lady. Grow with her from the first embrace and on to great adventures. This toy complies with Directive 2009/48 / EC of the European Parliament and of the Council of 18 June 2009 on the safety of toys and all statutory standards in accordance with European legislation. Of course, there is a CE declaration of conformity. 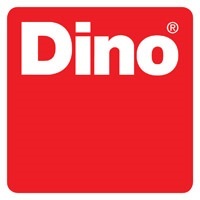 For shipping to other EU countries visit this page Dino Walt Disney Minnie. Für Versand nach Deutschland, besuchen Sie bitte Dino Walt Disney - Minnie. Chcete doručit zboží do Česka? Prohlédněte si Dino Walt Disney Minnie. Chcete doručiť tovar na Slovensko? Prezrite si Dino Walt Disney Minnie. Für Versand nach Österreich, besuchen Sie bitte Dino Walt Disney - Minnie. Magyarországra történő kiszállításért tekintse meg ezt a termékoldalt: Dino Walt Disney Minnie.